I surprised myself this year by being able to still read 200 books while setting up and running more than 85 Great Escapes Book tours. 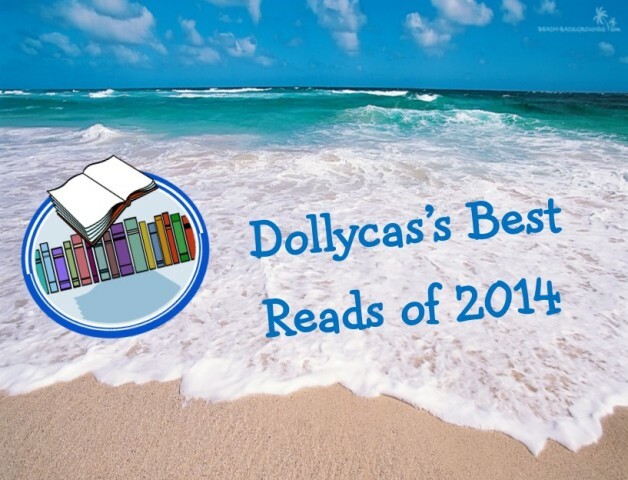 Choosing my Best Reads of 2014 was a very difficult task. I am taking a little different approach this year and forgoing all the categories and just sharing with you my Top 15. They are in no particular order. Many received a Paradise rating which means I felt they deserved more than 5 stars. I highly recommend the entire list!! Links to my reviews are included. There were so many extraordinary books to choose from this year. Narrowing it down to these 15 was tough. What were your favorite books this year? Please share them in the comment section below so we can all see them and add them to our wish lists!! 2014 was quite a year at Escape With Dollycas Into A Good Book and 2015 looks promising as well. I hope you have enjoyed my reviews, recommendations, random thoughts and giveaways. It has been a pleasure being your Escape Into A Good Book Travel Agent this year. I am excited for the new year as I start my 6th year blogging! I hope to book many more escapes for you all to enjoy! Thanks for including Spell booked in this list, Lori! Our best to you and yours for the new year. And we are impressed by how many books you read in 2014! Mine were Gone With the Wolf by Laurien Berenson . Perfect by Rachael Joyce. Murder and Marinara by Rosie Genova. Gone Girl by Gillian Flynn. Shoveling Snow by Brett Sills. The Moon Sisters by Therese Walsh. Not all of these were written in 2014 but I read them in 2014. Terrific choices–I have read most of them and absolutely agree they were terrific. As for the rest, they are now on my must-read list, so thanks! Outside of my beloved cozies, my favorite books of the year were “The Book of Life” by Deborah Harkness (such a fabulous, intricately plotted and well-researched trilogy) and “Everything I Never Told You,” by Celeste Ng, a gorgeous and hanuting mystery/family and societal drama. You are so welcome. I am looking forward to the next one!! Merry Christmas! It’s Monday! What Are You Reading?